Lemon Bay Glass + Mirror is ready to ensure your home, vacation home or business is prepared for Florida’s Hurricane Season. Please review the following document that is a guide for purchasing impact resistant windows. Replacing old windows and doors requires less time and money than you might expect and can improve the re-sale value of your home. New windows will also add immediate benefits such as lower energy bills, increased comfort, improved appearance and reduced maintenance. The type of glass you choose for your replacement windows and doors can be one of the most important choices you make. There are various glass options listed in the provided link that can be combined to provide multiple benefits. Follow this link to read about things you should know before you replace. 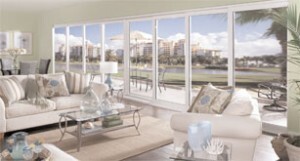 Link here to read about the benefits of replacement impact windows, including improving value.